Yesterday, I just attended Estee Lauder gathering at Crowne Plaza Hotel, Bandung with my friend, Fitri. I called it gathering instead of event because the atmosphere I felt there, the connection between sales people and customers like me was so close. We knew each other well. They remembered our names. Invitations are limited to customers only so there were not many people which made them could greeted, serviced, and talked to us one by one. 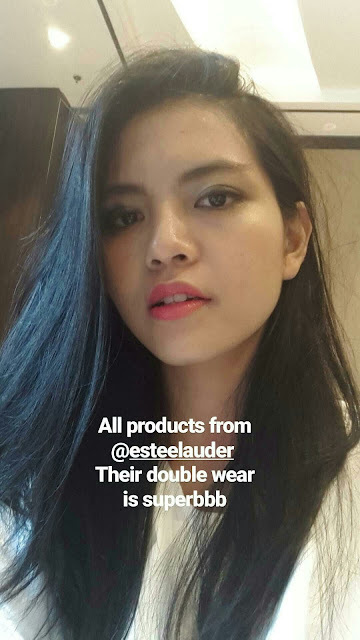 The SPGs at Estee Lauder counter in Paris Van Java mall even remembered me and asked where my mom was and why she was not present with me (my mom bought me Micro Essence and Advanced Night Repair Serum when she was in Bandung few days ago). There, we were asked about our skin care routine and they tried to give advice if there was something wrong or lack to help us having skin that we have been dreamed of. What I loved about their sales people was that they did not forced us to use ALL of their products. I told them that I was happy with my Olay moisturizer and they told me that I could curate it with my Estee Lauder products. We were given make-up class, facial, and consultation. They also pampered us with buffet lunch which was so so delicious (surely, it was 5-star hotel). 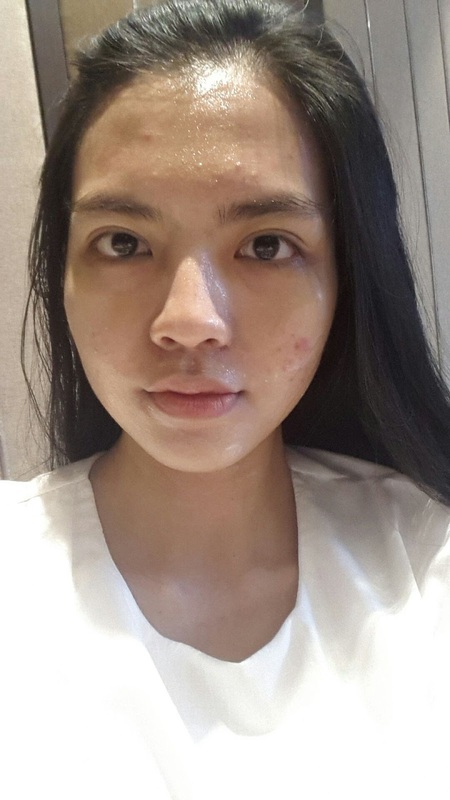 I had acne scars which tended to irritate if it was scrubbed so it was just smeared with Estee Lauder Nutritious mask. After 5 minutes, my face was washed with water. My face felt so supple, nutritious, clean, and dewy. I love the feeling I got after using it. 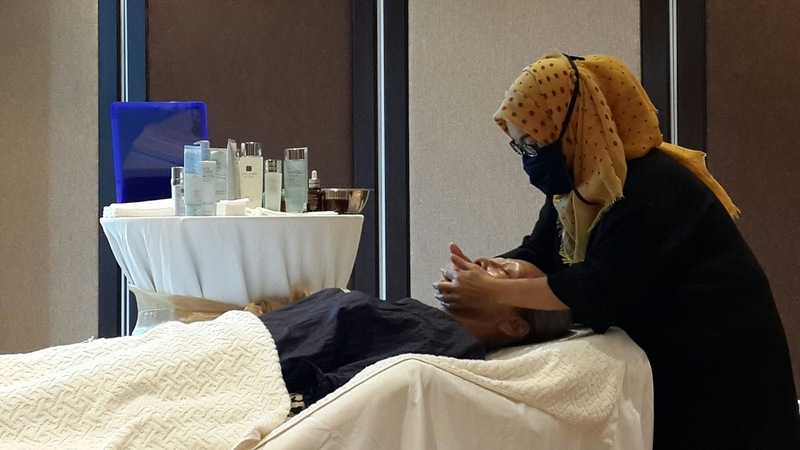 Now I consider to buy it for my mom because I think the mask is best for tired face as for women who have a lot of outdoor activities and women in 30s or 40s whose face has showed visible aging. After masked, I learnt a lot of advantageous make-up skills. Two peaks of my make-up study were learning technique to apply eyeshadows and make-up hack which was adding a drop of ANR serum to foundation before applied to my face. The serum made the foundation stayed longer, my face looked dewy (but not greasy at all), and no more cracking on face (it blended completely with my skin). If I want more matte-looking, the serum added must be lesser. The best make-up product from Estee Lauder was surely its Double Wear Foundation, if you ask me. It was worth IDR 495,000. I personally do not think that I need their lipstick. 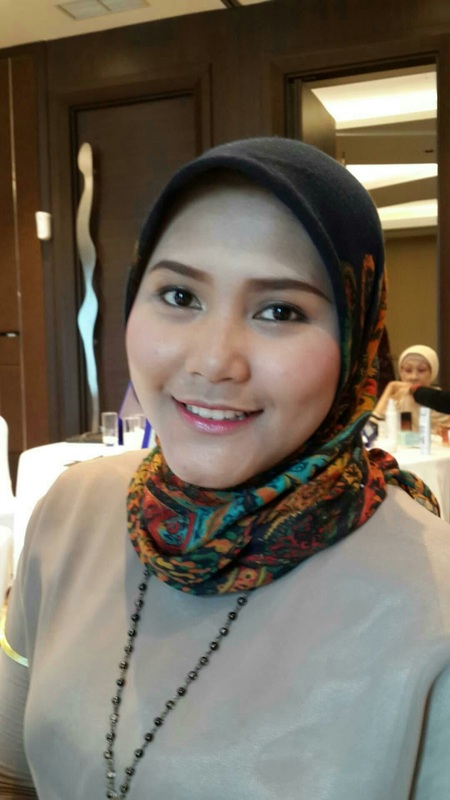 Now I use lipsticks from L'oreal, Purbasari, and Make Up For Ever. The only thing that differ them from Estee Lauder's were that Estee Lauder stayed longer (I proved that it was not erased by drinking nor eating). 3. 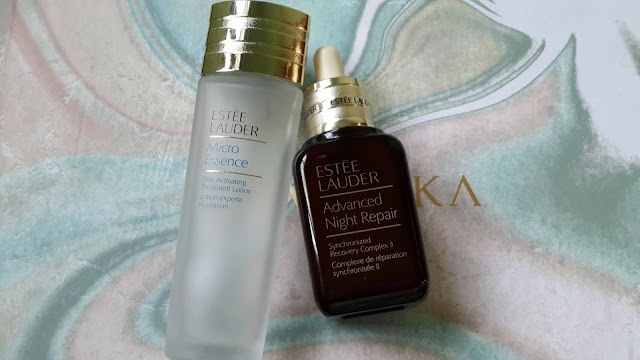 Micro Essence and Advanced Night Repair are still my favorite! 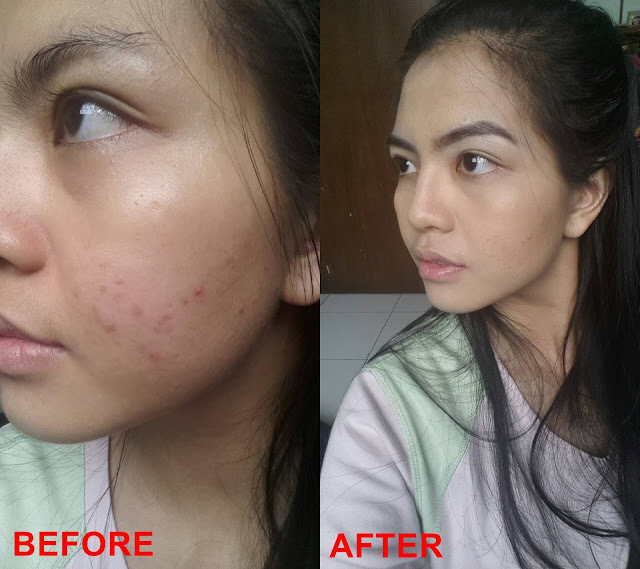 I will review about these two on another post, together with little experiment on how long they fix my acne scars. Stay tune! 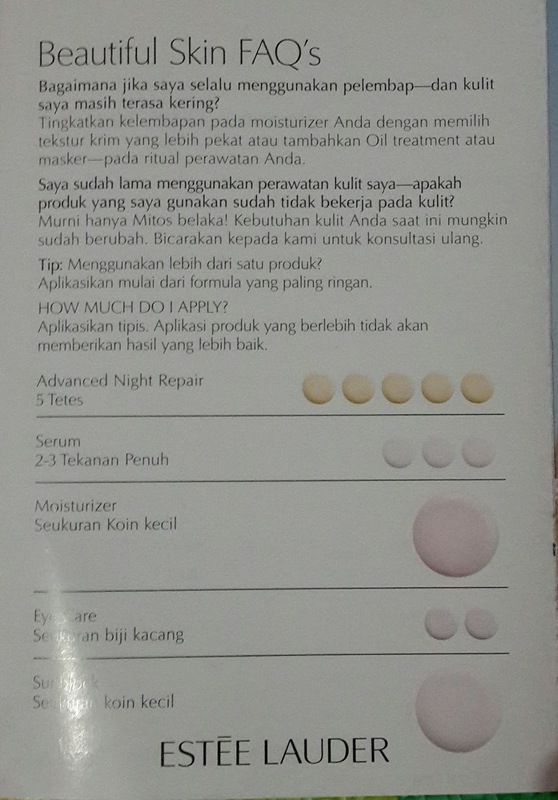 PS: Have your ever been curious on how much should you use your skin care? This guide is for you. Sorry for bad quality picture. It said that we should use Advanced Night Repair (if you are ANR serum user) 5 drops only and other serums are about 3 drops, moisturizer just as much as the size of little coin, eyecare as the size of two nuts, and sunblock also as much as the size of little coin.